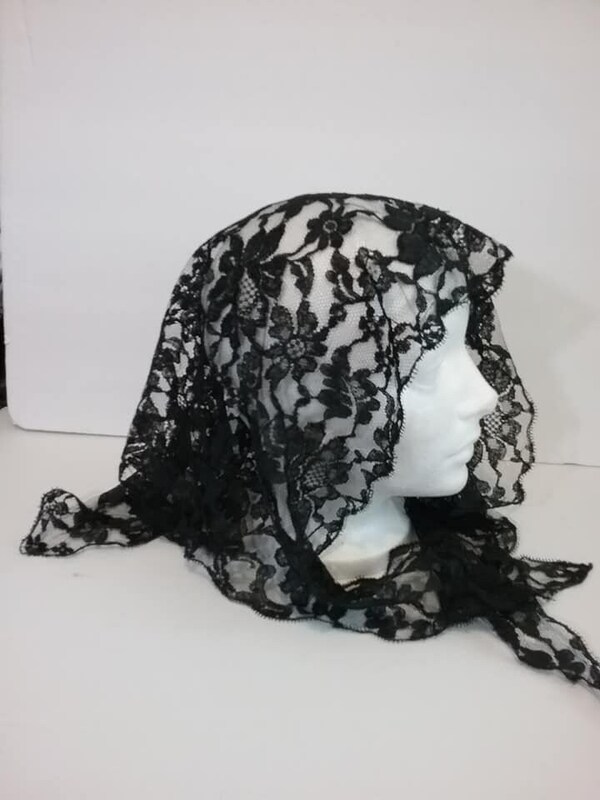 Vintage black floral, rose pattern lace veil. 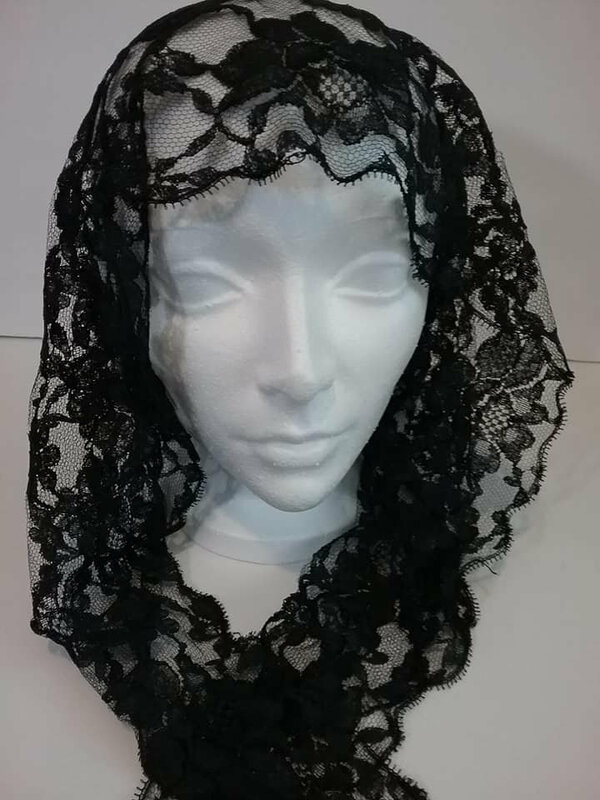 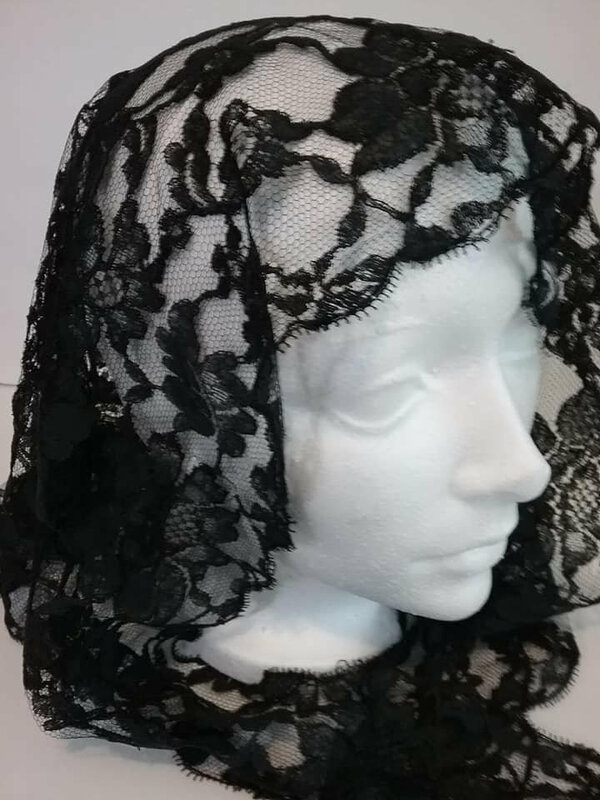 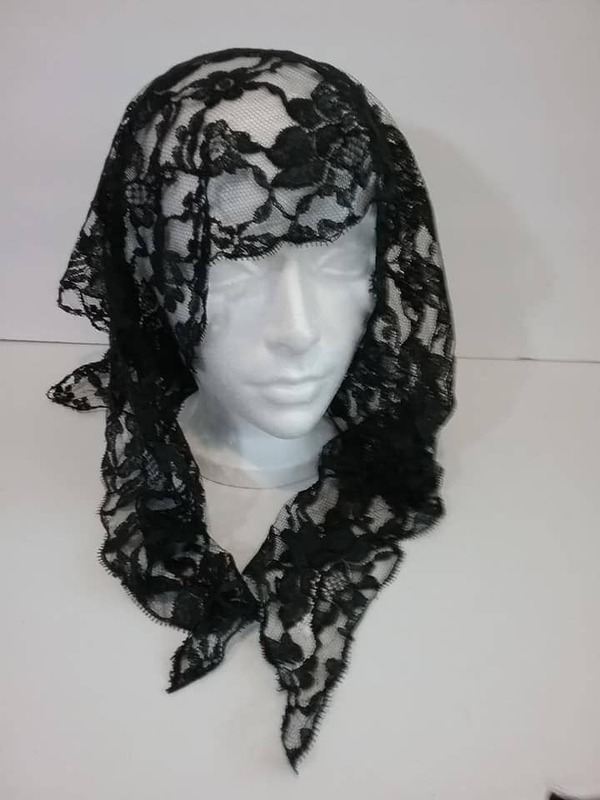 Mourning Mantilla has scalloped edges. 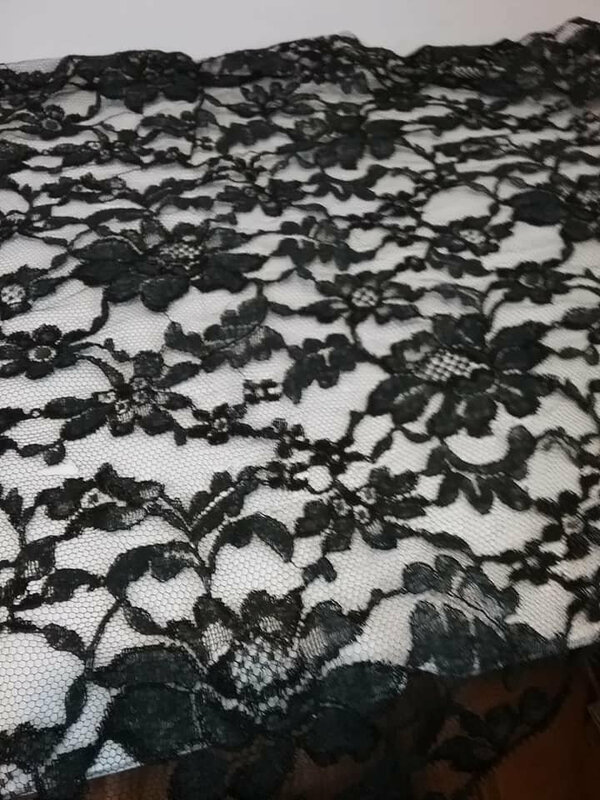 Measurements of triangle are approx: length - 41", width - 21".